“Forte and dogs have helped me more than I’ve helped them” is perhaps one of the most memorable quotes from a former Junior Volunteer who, now as an adult, continues to volunteer with Forte Animal Rescue. At Forte Animal Rescue, children who have completed the sixth grade are able to work directly with dogs at our weekend adoptions and special events. This is an extremely unique opportunity for children for multiple reasons: First, if a minor wishes to volunteer directly with animals, there are very few organizations that allow children to handle dogs at such a young age, especially without a parent accompanying. Second, children are not cleaning cages or stuffing envelopes; they are gaining hands-on dog experiences directly working with the animals. Third, the program is managed by a seasoned educator who has taught grades K-12 in addition to having trained multiple dogs who have passed their Canine Good Citizen exams. By meeting the dogs we rescue and spending time with them every week, children are able to see the changes these animals go through as they begin to trust people and gain confidence, and help find their forever homes. The children in our Junior Volunteer program have a unique perspective on these animals, observing and interpreting the dogs in ways adults normally do not. For that reason, the children thrive in spending a great deal of time working with the dogs on basic commands, grooming, and even agility. Since the beginning of this program in 2007, children have repeatedly shown their inability to have a prejudice against dogs regardless of their breed or history — they openly love and want to help all the animals they work with, and encourage others with their genuine affection and determination to help these animals. Our experiences with these children confirm they truly are our future; Forte Animal Rescue is dedicated to inspiring compassion and educating youths about animal rights and protection issues. While volunteering with us, Junior Volunteers are learning the importance of spay/neuter for population control in addition to proper dog handling skills, training, and grooming. Over the years, many Junior Volunteers have expressed an interest in pursuing a career in veterinarian medicine after volunteering with Forte Animal Rescue. 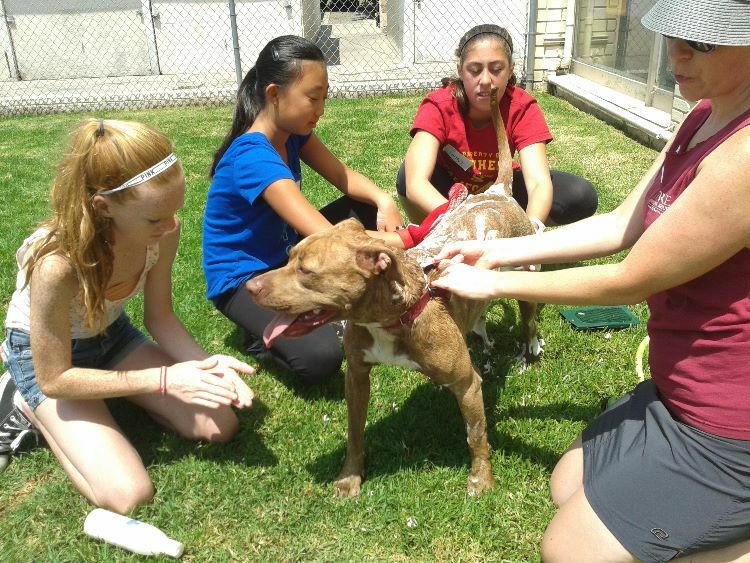 Not only does our Junior Volunteer program help dogs immediately in need, it also builds the foundation for a healthier tomorrow.